Things are always an adventure when Kelly’s around. That’s one reason why I just love her! At the end of the summer she moved out of the area, states away, so when she was here for a quick Thanksgiving visit, Jackie and I couldn’t miss the opportunity to hang out with her. Kelly thought it would be a fun idea to go ice skating, as that’s not something we normally do. Personally, I hadn’t been ice skating since I was about fourteen, and fell on a guy sort of on purpose, only to leave with his number. Needless to say, I was out of practice but I wasn’t the only one! Before we got to the rink, we made a pit stop to Five Below (literally everything is $5 or under), getting majorly sidetracked. 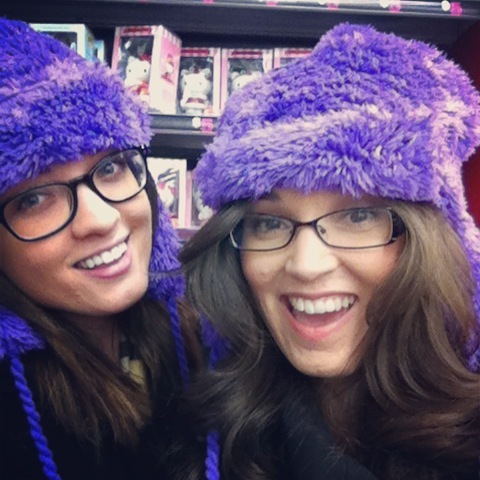 Between the three of us we bought gloves, Christmas gifts, wallets that hold your iPhone, and Kelly and I checked out these fuzzy purple hats that we couldn’t resist trying on. Then it was off to the rink we went. Man, did I relive some of my childhood even just waiting in line. Of course, all of the high schoolers in line with us helped set the mood. I think it was the first time in my sort of late twenties where I thought to myself “Yep, I’m old now. Wait, am I too old to do this?”. 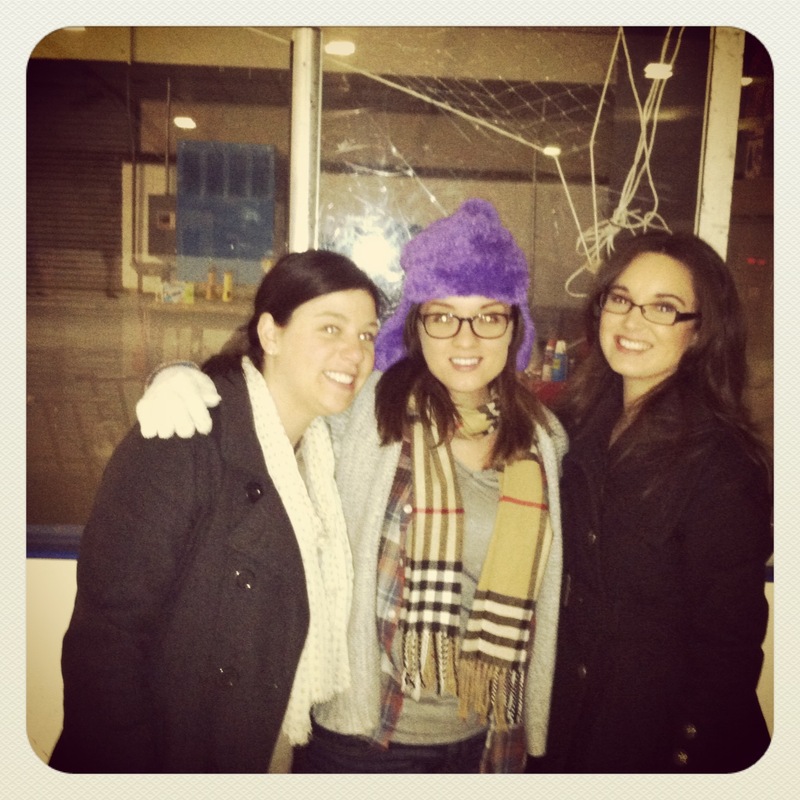 We payed our $11, got our skates, and nervously crept onto the ice. 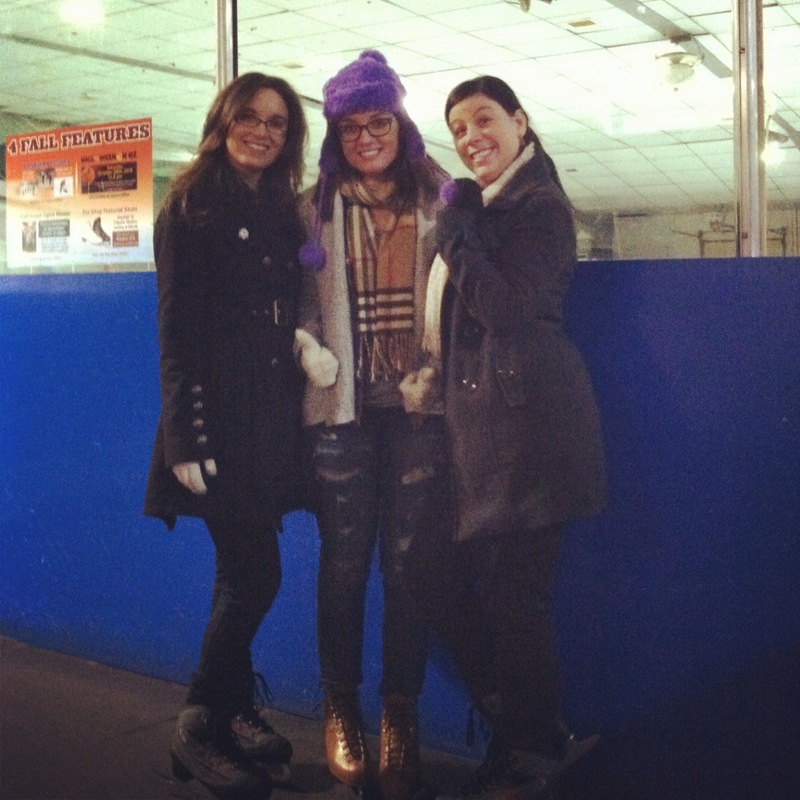 Jackie was pretty steady on her skates, as she has more experience than us, and Kelly and I held on for dear life. I’ll mention here that I was the only one who fell. It was one of those falls where it doesn’t look bad, but you tried to catch yourself and feel your shoulder give and pop a little, your palm aches, and you sit there for a milli-second wondering if you’ve just broken anything and yes, you are too old to do this because you’ve suddenly become a fragile old woman. I tried to get up and pretend no one but Kelly and Jackie saw me, but nope…the baby faced teen guy who helps supervise the ice for people who fall, like me, came gliding over and helped me up.I was just thrilled nothing was broken and laughed it off. Then there was the random guy who would skate past us, flirting, and telling us we were getting better at skating. We had about twenty minutes of fun and then we were good to go. Maybe we’ll try again in another ten years? 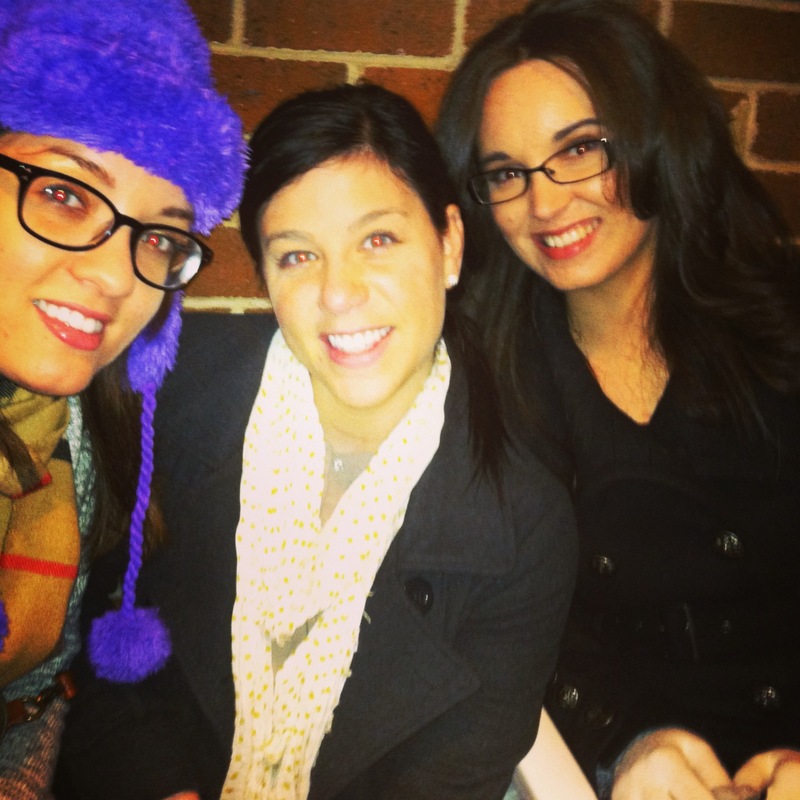 We miss you, Kelly! Come home soon!